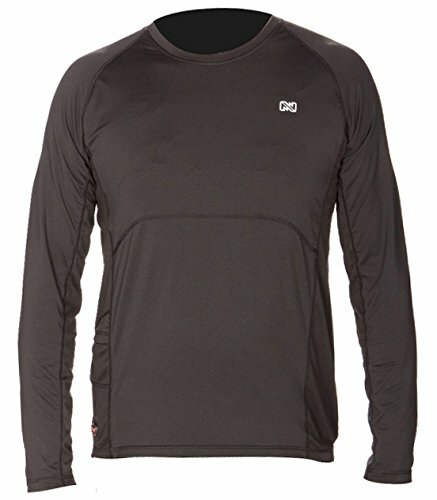 The Longman heated crew neck top is made with a 4-way stretch antibacterial polyamide fabric to be worn as an undergarment. It features side stretch panels for additional comfort. The heated panels which are located in the front and in the back area are formulated with a special heating element which also is insulated and prepared in a way to give instant heat on demand. The power source is a 7.4v lithium battery keeping you warm for hours and adjustable by a touch button with 4 heat settings making this an irresistible piece to have for the winter. Includes 7.4v lithium-ion battery and standard charger. Four heat settings at 100% power 2.5 hours of heat, 75% power 3 hours of heat, 50% power 5 hours of heat and 25% power 10 hours of heat.